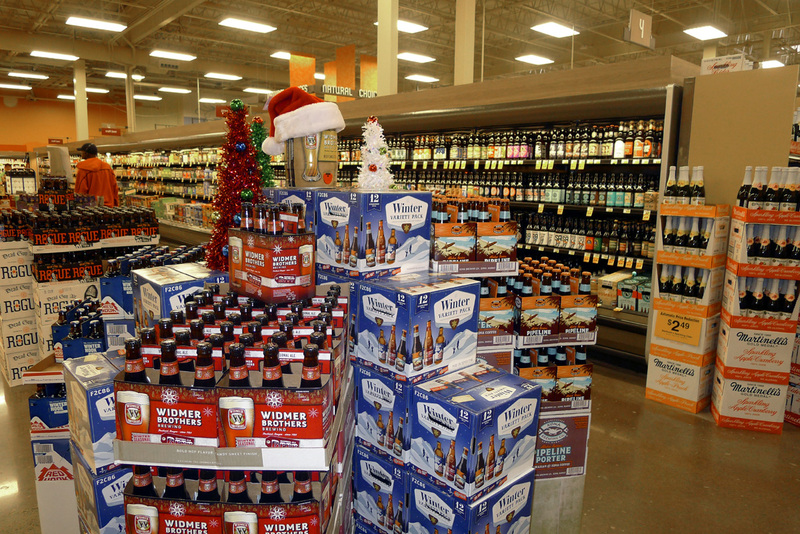 It has been interesting to watch craft beer take over more and more space in grocery stores. 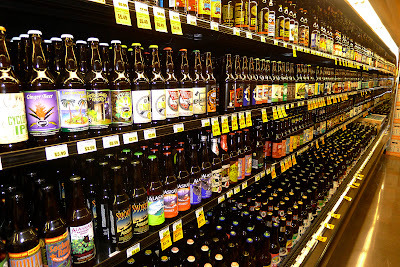 Once upon a time, you had to go to New Seasons or Whole Foods to find a decent selection of good beer...assuming you weren't planing to hit up a bottleshop like Belmont Station. Although premium stores and bottleshops continue to do great job with craft beer, the game has changed in recent years. You can now find a reasonable selection of great beer in grocery stores, convenience stores and small neighborhood markets. In fact, craft beer sales in these channels are expanding rapidly. So I've been curious about Fred Meyer, which has been mostly slow to turn the craft beer corner. This is particularly true of the Hollywood West location. 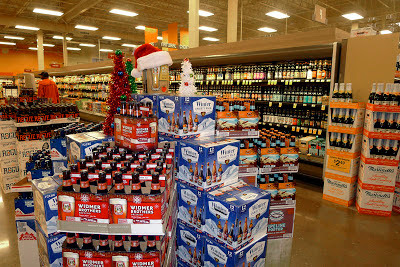 Here's a store situated in an area that is thirsty for craft beer and wine. They've done a terrific job with wine in this store for many years. Beer, not so much. There are surely reasons why beer played second fiddle at the Hollywood store. Space was likely one of them. 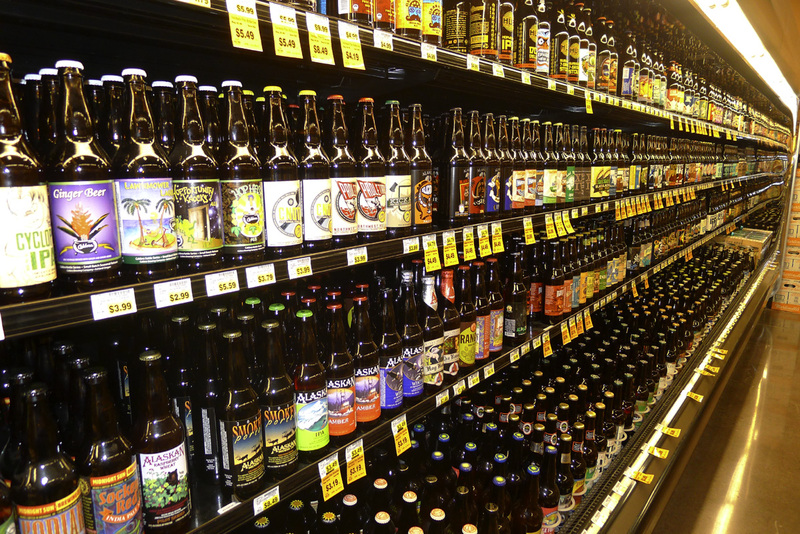 The physical space dedicated to beer was relatively small for a store so large, limiting what they could stock. Lack of focus is another reason. This store has had a wine steward managing wine for many years and doing a fine job. That same person also managed craft beer...not an ideal arrangement. Well, things have changed at the Hollywood store. The recent remodel, more or less complete, has provided roughly double the amount of space for beer. They now have a splendid selection of craft beer in 22 oz. bombers, cans and smaller bottles. They continue to carry a selection of macro sludge on one side of the aisle, but the craft side is where the action is. Plenty of it. I cannot say what they've done about managing craft beer. I know they were looking for a beer steward a while back. Hopefully, they pulled the trigger on that because having someone with beer knowledge involved in the craft show is crucial to its ongoing success. Today's craft beer scene changes too rapidly for a wine person to successfully split duties. Part of what drives the success of craft beer in bottleshops, pubs and stores is promotion of special releases and tastings via social media. It's the nature of the beast in this business. I'm not sure this approach is being used by the Kroger/Fred Meyer empire, but it definitely can be. Indeed, I visited the Hollywood store a couple of weeks ago after I saw a Facebook post announcing a mead tasting. This tasting was organized and hosted by Powered by Yeast, a beverage brand management company located in Portland. Powered by Yeast is the husband and wife team of Tim and Jana Daisy-Ensign. Tim and Jana both have extensive experience in craft beer, wine and cider, and they represent a portfolio of brands that includes Fort George Brewing and Redstone Meadery. 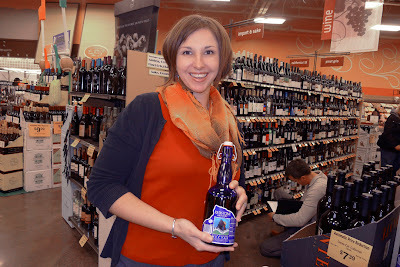 Jana was tasting several Redstone meads, which were quite good. Events like this, when promoted via the right channels, can be a big success at the Hollywood store and beyond. Hopefully, there will be more of them happening.